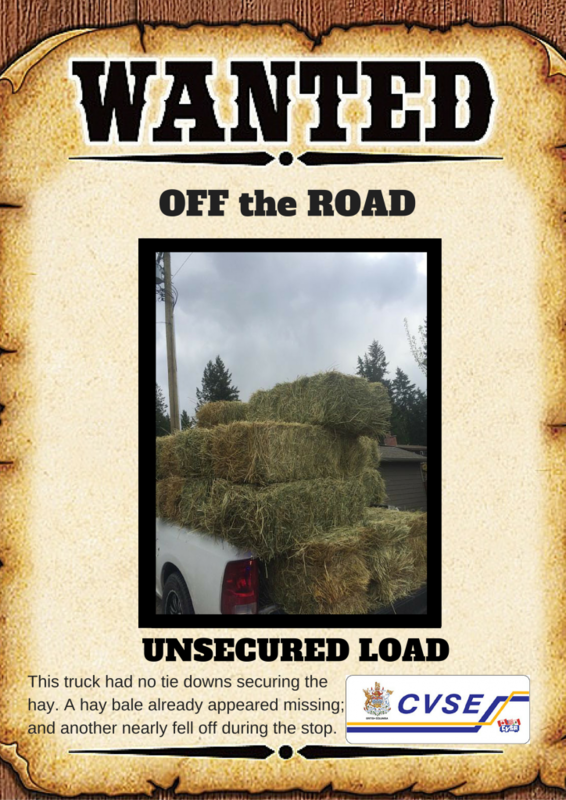 The Commercial Vehicle Safety and Enforcement branch (CVSE) is responsible for making sure BC highways never come anywhere close to becoming the Wild West. That means safeguarding travellers by educating the commercial transport industry and, when necessary, enforcing the National Safety Code, which is a set of national standards supported by provincial regulations. The vast majority of carriers and drivers make safety a priority on BC highways. That said, our CVSE inspectors do catch some pretty serious safety violations. And there’s quite a range – from missing parts to overloaded truck beds. 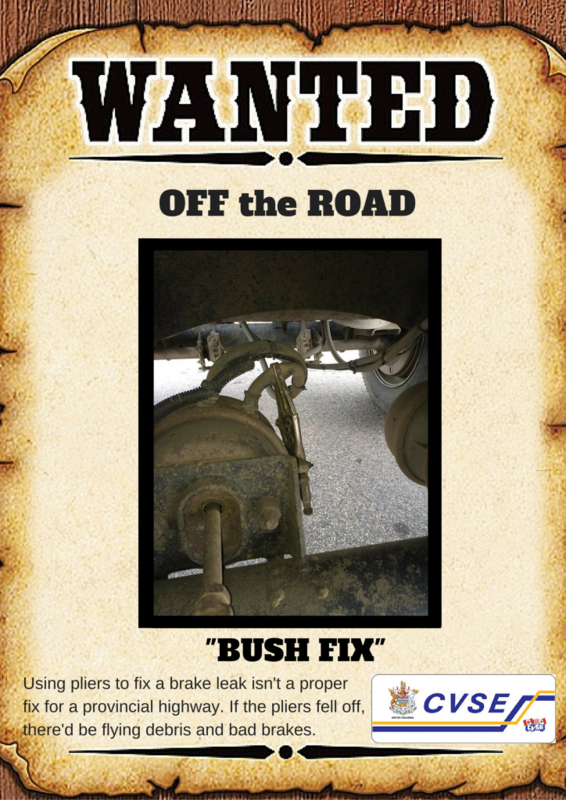 We’re showcasing some infractions CVSE discovered recently – both to highlight the importance of doing pre-trip inspections, and to show that many violations can be prevented by due attention and a bit of common sense. So, without further ado… here are five of CVSE’s most wanted. 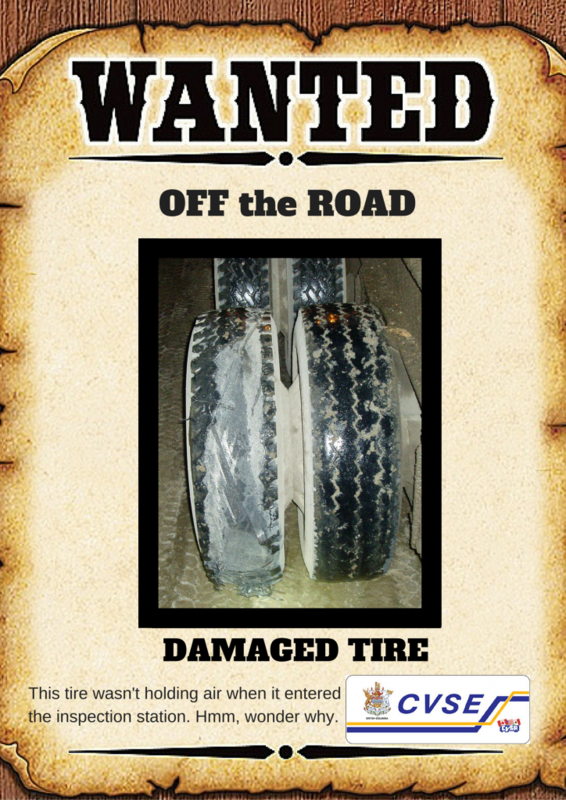 We’ll continue to post “wanted” posters like these on Flickr and Instagram as reminders. In the meantime, if you have a question about commercial vehicle enforcement, feel free to comment below. I definitely like what you guys have currently posted. So, I would like to see more of that. Having said that, I definitely have some suggestions. These are some specific topics/suggestions that come to mind. Favourite suggestion first, because nobody really gets to see some of the massive things that move around the province. 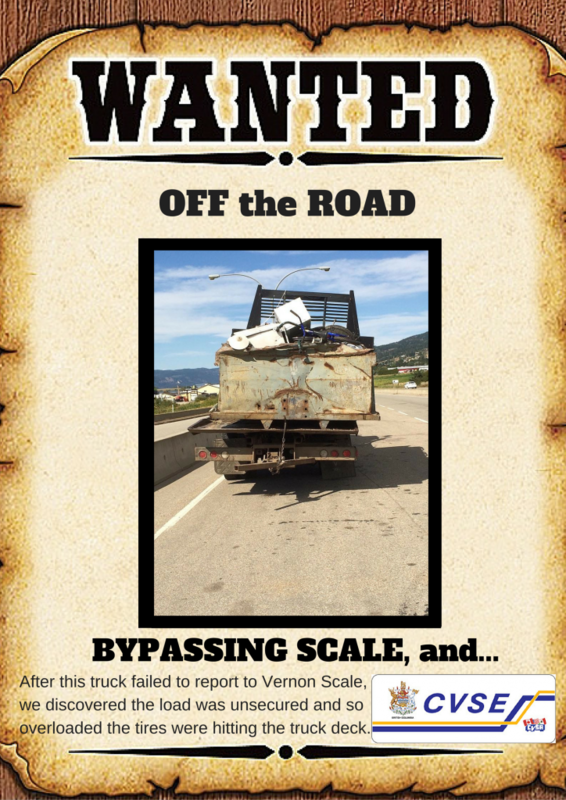 – Extraordinary loads that were caught in violation – overweight or over dimensional with no permits, not enough axles, no flags/lights on corners, not enough or no pilot cars, higher or wider than their permits and got stuck on a structure or pulled down hydro lines. – Overweight vehicles caught on structures with limited vehicle GVWs. – Any really bad issues with personal vehicles that a CVSE officer is allowed to stop. – Modified pick-up trucks that are in non-compliance – too high, lamps and bumpers too high, no mud flaps, illegal lamps, tinted windows, other illegal modifications. Thanks for this feedback Charles, we have sent it forward on your behalf. Are you guys going to continue these posters? These are pretty good, brings light to the types of things that your officers and inspectors find. 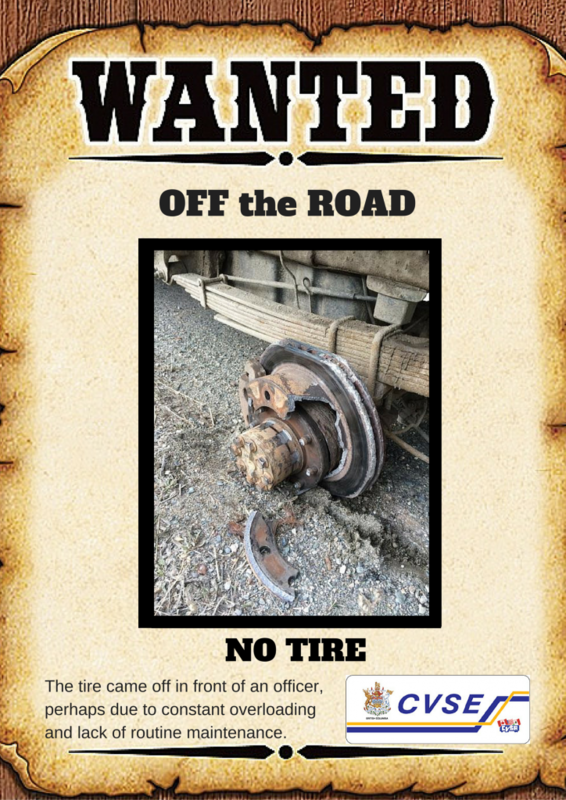 These posters also provide an educational component as well as brings public awareness to the types of safety violations that happen both in the transport industry and private transport of personal belongings. Really appreciate hearing from you. Great to know people find these posters useful. You’ve inspired us to come up with some new educational posters. Let us know if you have any suggestions, or areas you’d like to see covered. hi I want to be a cvse I love to be a part of the team to help keep our roads safe how do I apply?